This book aims to apply the concept of "vernacular theology in the context of sermon literature" (189) and points out the importance of women in the formation and diffusion of these texts in late medieval Florence. Drawing on Bernard McGinn  and Nicholas Watson , Eliana Corbari adopts the term "vernacular theology" to refer to the existence of a theological discourse outside the classrooms of universities and the cells of monasteries; a theology that was accessible to the laity, in particular to women. The concept of "vernacular theology" - as distinct from monastic theology and scholastic theology - is left intentionally broad and fuzzy. Following McGinn, Corbari points out that it is not the use of vernacular language that signifies this type of theology. For instance, she considers the Latin Vita of Villana de Botti as an example of vernacular theology. The rather shifting definition of "vernacular theology" can thus be disorienting, especially when the author speaks of a "Latin and vernacular theology" (107) or suggests understanding parts of Aquinas's Summa theologiae as "vernacular theology" (118). However, the value and strength of this concept is clearly and convincingly explained by Corbari: this term enables scholars to "take seriously the theological value of vernacular sources", can "facilitate the comparisons [...] with other theological sources", and can "lead to a more sustained study of texts such as medieval sermons and hagiography, as well as plays, poetry and some of the so-called "mystical writing" as theology, as well as literature and history" (63). In this way, this term seeks to move beyond the limits of previous labels, such as devotional or catechetical writing. Moreover, this approach considers reception and circulation as essential for understanding the significance of these texts. They are part of a dialogue, "fruit of conversations" (64) in which the audience has an active and influential role. 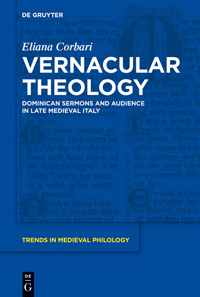 In this perspective, the central object of Corbari's research is "the formative roles of women in the flourishing and transmission of vernacular written sermons as a source of vernacular theology in late medieval Italy" (14). The main concern of the author is to underline that vernacular theology "was particularly opened to and influenced by women" (15). Her choice of focusing on Dominican authors derives from this openness, since "Dominican vernacular theology offers a place for recovering the influence and the voices of women in late medieval Italy and beyond" (15). From my perspective, this is the most interesting choice of the book. Instead of recovering the voices of women through female authors of vernacular theology (one could think of Clare of Assisi or Catherine of Siena), Corbari's concern in this study "is not with women as authors, but women as influential readers and disseminators" (64). In this way, the collaboration or - as Corbari puts it - the conversation between women and men is at the centre of research that investigates the dynamic interplay between Dominican friars and women as the audience of written sermons. These women played an active role in influencing the production of texts, and more particularly in their dissemination, as proved by the large number of manuscripts that Corbari considers. After an introduction explaining how this research aims to broaden the understanding of vernacular theology, the book is laid out in four chapters, and completed by the conclusion and four appendices, which include a useful translation of some sample texts of the primary sources used in this study (205-215). The first chapter briefly describes three different Lenten sermon collections of three Dominican preachers, which represent three different genres of texts connected with preaching: the Latin model sermon collection of Jacopo da Varazze (d. 1298), the vernacular reportationes of Giordano da Pisa (d. 1311), and the vernacular treatise Specchio della vera penitenza of Jacopo Passavanti (d. 1357) in which he reworked a previous sermon cycle. 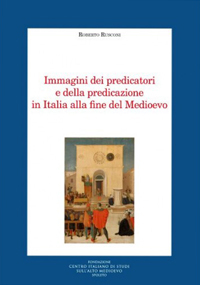 The second chapter investigates the reception and dissemination of these Dominican texts in late medieval Florence. Corbari examines the manuscripts containing sermons of these authors that are held today by Florentine libraries. The elements emerging from the survey of fifty manuscripts from the thirteenth to the fifteenth centuries - that Corbari consulted in situ - are "tangible manifestations of the web of relationships, which saw religious and lay women at the avant-garde of vernacular theology" (66). Sometimes, however, it seems that the author goes too far with her suppositions. Some of the manuscripts that she argues had a "suggested female provenance" are identified as such on the basis of weak arguments, such as the presence of sermons on Mary Magdalene or writings about Mariology. Although these may have been of concern to women, the simple fact of their inclusion can hardly support "an implicit female provenance" (80 and 103). 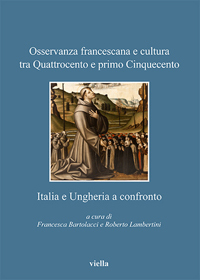 Chapter Three deals with the idea of theology proposed by Passavanti's Specchio and widens the possible sources of vernacular theology by also considering images and hagiographical texts, in particular comparing the different presentations of Mary Magdalene by Jacopo da Varazze and by another Dominican friar, Domenico Cavalca (m. 1342). The fourth chapter investigates both Villana de Botti (m. 1361) "as an example of the literate female audience of Dominican sermons" (14) and the importance of female agency in the construction of her memory and cult, which included hagiographical texts, laude, liturgical celebrations, and images. Therefore, the case of Villana de Botti offers a concrete model of a learned penitent lay woman, who had a theological education that included reading and listening to sermons. In fact, her Latin Vita - probably written by the Dominican Girolamo di Giovanni (d. 1454) - depicts her as "an active, visible and vocal audience" (159), who not only listened to sermons but had frequent conversations with Dominican friars. 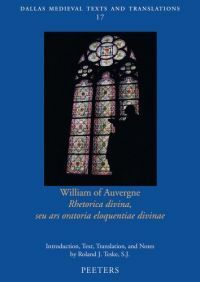 Therefore, it describes "a two-directional shared language of vernacular theology" (162) in which Villana was "inspiring the friars as much as being inspired by them" (191). This continual interchange between Latin and vernacular texts, between the theological culture of preachers and that of listeners, between women and men is the key point of the book. Yet, the author's desire to continually underline and emphasize the active role of women does not help the linearity of her argument and risks overshadowing the most promising elements of this research. An element of concern is that the book hardly mentions the involvement of laymen in vernacular theology. However, the books used in the brotherhoods or the reportationes of sermons made by laymen clearly show the desire for learning and the attraction to theology crossed the gender divide in late medieval Florence. Another element of concern is that, at times, this book seems to adopt an overly schematic opposition between scholastic and vernacular theology. Indeed, scholastic theology was far from being monolithic and preaching itself represented a constant interaction and mediation between different dimensions of late medieval theology. In fact, Corbari acknowledges this on occasion. Although considering the Florentine reportationes of Giordano da Pisa as vernacular theology, she underlines that they had a scholastic character (25), implicitly recognising the overlap between these categories. Moreover, she recalls that in the Vita of Villana de Botti, after her death, one of her relatives had a vision of Villana "in conversation with Aquinas and the Virgin Mary on no less a topic than the Trinity" (159), therefore in a perfect communion with the champion of scholastic theology. Finally, Corbari adopts a synchronic approach to authors, audiences and manuscripts that cover almost three centuries, while the task of depicting the historical evolution of this phenomenon is left for future research. Moreover, I would suggest that the concept of "vernacular theology" might be enriched by a comparison with that of Frömmigkeitstheologie outlined by Berndt Hamm . In conclusion, there is no doubt that the precious findings of this book broaden our understanding of late medieval women who "were not passive listeners or passive scribes, but teachers in their selection, sponsoring, and dissemination of vernacular theology" (134). The concept of vernacular theology - although elusive in its definition - has the great merit to "challenge conventions which have viewed some sources of learning as less theologically significant" (136) and to permit a much needed reappraisal of texts generally neglected by the history of theology and that were part of a lively "conversation" between late medieval women and men. Bernard McGinn: Introduction: Meister Eckhart and the Beguines in the Context of Vernacular Theology, in: Bernard McGinn (ed. ): Meister Eckhart and the Beguine Mystics: Hadewijch of Brabant, Mechthild of Magdeburg, and Marguerite Porete, New York 1994, 4-14. Nicholas Watson: Censorship and Cultural Change in Late Medieval England: Vernacular Theology, the Oxford Translation Debate and Arundel's Constitutions of 1409, in Speculum 70 (1995), 822-864. Berndt Hamm: Was ist Frömmigkeitstheologie? Überlegungen zum 14. bis 16. Jahrhundert , in: Berndt Hamm: Religiosität im späten Mittelalter: Spannungspole, Neuaufbrüche, Normierungen, Tübingen 2011, 116-153.